What happened at the conclusion of Miss International 2012 could be echoing the historical relationship of Japan and China which runs deep for centuries. Let’s forget for the moment the diplomatic spat that eventually saw the no-show of People’s Republic of China in Okinawa. Let’s talk about how China and Japan saw each other for centuries. To appreciate the general nature of the Sino-Japanese relationship, it is crucial to trace the origins of Japanese culture. This is not some sort of a rocket science analysis. This is actually a common knowledge to those who are interested in Oriental culture and history. Jumping right into the point, Japan draws a lot from its much bigger and much ancient neighbor. For example, the Japanese writing system was generally copied from China. Chinese characters still litter the Japanese calligraphy and is known as kanji – with kan meaning Han, the predominant ethnic group in China. Even the other Japanese writing systems of hiragana and katana are of Chinese in origin and were actually simplified and “clipped” Chinese characters. We can also take a look at religion. While Shintoism is the home grown religion in Japan, it is actually generously peppered with Buddhism and the latter plays a large role in Japan’s history and culture. Buddhism was introduced to Japan via China and the way it is practiced in Japan is heavily influenced by Chinese elements. When looking at all of these, there is no doubt that one can conclude how embedded are the Chinese influences in the Japanese psyche. While imitation is the highest form of flattery, the relationship between Japan and China is far from cordial. Japan for most of its history led an orderly society. China on the other hand is always rocked with tumult and heavy meddling by Western powers. The animosity between the two hit the crescendo when Japan invaded China during World War II. Because of stability and orderliness it enjoyed, Japan was always seen as superior to China. It is as if the son had always overpowered the father. By the turn of the century though, there was the reversal of fortune. China found orderliness in communism and now took the title of the world’s second largest economy – an honor that Japan enjoyed for almost half a century. It is in these historical, cultural and economic contexts that the events of 2012 are being shaped. 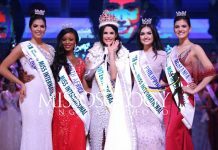 One can draw its own story to explain what happened at Miss World and Miss International. Did Japan emulate the victory of China at Miss World? Is it a way that Japan can show China that it is capable of international victory in the world of pageantry as well? Was the victory of China at Miss World a show of force and assertion of its dominant place in the world? 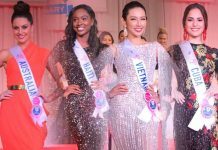 When one can remember an article published by Time a few months back, it is worth to note that China’s keen interest on beauty pageants is generally driven by its struggle to be recognized as a major force in the world. Generally pageant-phobic as a communist nation, China realized the benefits a pageant can bring into country’s image. It knows how pageants can stir nationalism, uplift the country’s international image and could be a way to assert it power and place at the world stage. But with the ascendency of China in the world stage comes the inevitable – drawing the ire of its neighbors. Sure, its space program, development of stealth technology or its gargantuan manufacturing prowess are all technically harmless and even beneficial to its neighbors, yet some things are not. These include its bourgeoning armed forces, diplomatic bullying and the need to grow in a limited and competitive space. China realized that it is geographically squeezed by its neighbors and for it to grow it needs to be strategic and tactical. Its fishing grounds and naval areas are restricted by the Koreans to the north, hampered by Japan through its Okinawan archipelago and any chance to own the whole of West Philippine Sea is vehemently opposed by Vietnam, the Philippines and even Indonesia and Malaysia. Meanwhile, Taiwan remains a thorny issue and the avalanche of Taiwanese naval patrols across the Taiwan Straight is stifling China’s naval ambitions. The recent diplomatic spat involving Senkaku islands is especially sensitive to China invoking World War II sentiments and sparking outrage amongst Chinese deeply scarred by the brutality of Japanese invasion. This is considered as the nadir of Sino-Japanese relations since World War II. The animosity of course is not one-sided. Japan saw some anti-Chinese protests, its citizens generally concerned that China had overtaken their country economically and militarily. This concern is reflected by the constant need of Japan to reassert its economic superiority. Could the victory of Miss Japan at Miss International an answer to China’s own assertion of its power in the world of pageantry? Historically, Japan is more powerful than China at Big4 but this power is largely due to the fact that Japan had been participating at major pageants ever since while China embraced pageants only after the turn of the millennium. If it is to overpower Japan, a nation that boasts two Big4 crowns, it has to accelerate its rise. Now the tables looks even as China can also boasts two Big4 crowns all from Miss World and all while it is hosting the pageant. The contrast of the trajectories of the two nations at the world of pageantry is so stark. The general assessment is that Japan is going downhill while China is rising. At Miss Earth, both nations are generally even although Japan has a slight advantage. At Miss International, China was pretty doing well at the time when it was hosting the pageant but of course things when upside down when Japan won the 2012 title. However, the rise of China and the fall of Japan are both evident at Miss Universe and Miss World. Japan’s two Big4 crowns are all from Miss Universe and it enjoyed resurgence at the turn of century albeit short-lived, thanks to the vision and guidance of Ines Ligron. But after the departure of Ines, Japan is now at backwater while China is gaining traction. This is evident by China’s 4th runner-finish at Miss Universe 2012. Miss World is barely a contest. Japan is yet to win the Miss World crown but as mentioned earlier China has already two Misses World. The interesting question now is – who will reign supreme in this decade and in the next? Will Japan be compelled to get its act together especially at Miss Universe now that it is facing stiff competition from China? And even if Japan will refocus and make progress, can it stop the momentum of China? But as they say in the East, you can’t fight the giant dragon, you can only ride on it.